From the generous layouts to the choice of materials and finishes, one will be enthralled by every single detail or touch when in Dakota Residences. Full-height glass sliding doors extend living space into the balcony, creating a link between home and the external environment. In the kitchen, quality appliances provide one with just the right amount of culinary inspiration. Step into the bathroom and the same meticulous approach can be seen with elegant sanitary fittings from Hansgrohe completing the picture. Located on the eastern fringes of the city, the glittering attractions of the metropolis, together with an extensive host of amenities nearby, are all within easy reach from Dakota Residences. Just a 2-minute drive away lies the magnificent Singapore Sports Hub, which will include a host of excellent sports facilities as well as a dazzling array of top-notch retail, leisure and waterfront dining choices. Further afield, the glittering malls of the Marina area and Orchard Road await the cosmopolitan shoppers. What's more, the Central Business District (CBD) is also close-by, ensuring a swift journey to the office. Likewise, the entire list of world-class points of interest such as The Marina Bay Sands Integrated Resort, the Singapore Flyer and more, lining the Marina Bay precinct, is equally within reach, as are the magnificent beaches of East Coast Park as well as top schools. An exemplary location is central to the appeal of Dakota Residences. With the Dakota MRT Station right at the doorstep, accessing Singapore's public transport grid will be a fuss-free affair. Arterial roads such as the East Coast Parkway (ECP), Kallang Paya Lebar Expressway (KPE) and Pan Island Expressway (PIE) also keep Dakota Residences conveniently connected with the rest of the island. Close Proximity to city via Nicholl Highway. Numerous buses and Dakota MRT at your door step. Near downtown city and East Coast Parkway. Lots of amenities and nearby Katong area with Pubs and Restaurants. Circle Line MRT is just 5 mins walk away. My family and I work in CBD, and we find the location excellent giving us the best of multiple worlds! Quiet and serene, yet near CBD via bus, MRT, or car (via Nicoll highway). It's also near the Sports Hub, East Coast, and Katong area for family getaways on weekends! Great amenities, and yet decently priced within affordability for working families who aim to cut down commute time by staying right outside CBD. Facilities available for family get-together especially on weekends. It is has the best of both worlds i.e. so near to economic city centre and yet able to enjoy the serenity and greenery of the country seaside living. 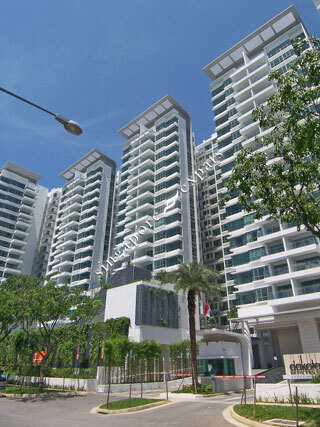 The development is centrally located and it is 5 minutes walk away from Dakota MRT Station. The recently developed World-Class Sports Hub.and East Coast Park are only a few minutes' drive away, while the Central Business District is about 5 minutes away. The development promises a lifestyle of leisure and convenience offering serene respite from the busy city while maintaining ease of accessibility. With Dakota and Mountbatten being an up and coming residential estate, purchasers would definitely be looking out for this river-edge condominium. My husband and I worked at raffles place and Orchard road. We liked to lived near work but donot like to be with the crowd. So Dakota is our favorite place to live where we can commune to work with less than 30 minutes but yet can enjoy all the quiet and outdoor activities. We love this condo.